Click here to view the Hearts & Hands 2017 Annual Report. 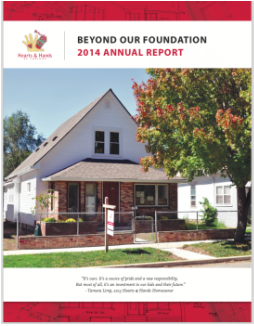 Click here to view the Hearts & Hands 2015 Annual Report. Click here to view the Hearts & Hands 2013 Annual Report. 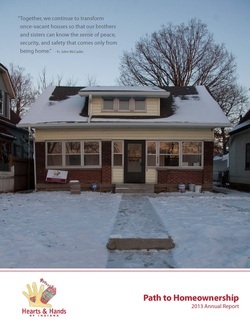 Click here to view the Hearts & Hands 2011 Annual Report. 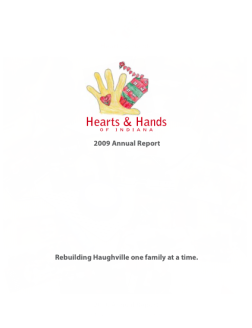 Click here to view the Hearts & Hands 2009 Annual Report. 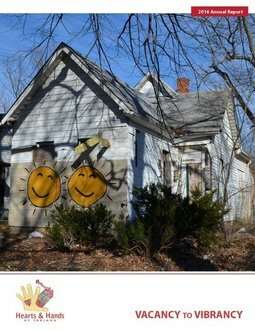 Click here to view the Hearts & Hands 2016 Annual Report. 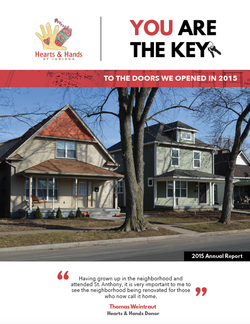 Click here to view the Hearts & Hands 2014 Annual Report. 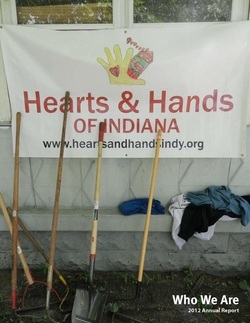 Click here to view the Hearts & Hands 2012 Annual Report. 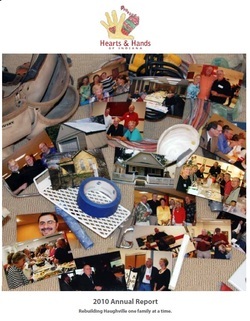 Click here to view the Hearts & Hands 2010 Annual Report. Click here to view 2015 Income Statement. Click here to view 2015 Balance Sheet. Click here to visit our Press Room to see what the Indianapolis community is saying about us.